The trial of Muhammad Ali would have made a fascinating documentary all by itself. 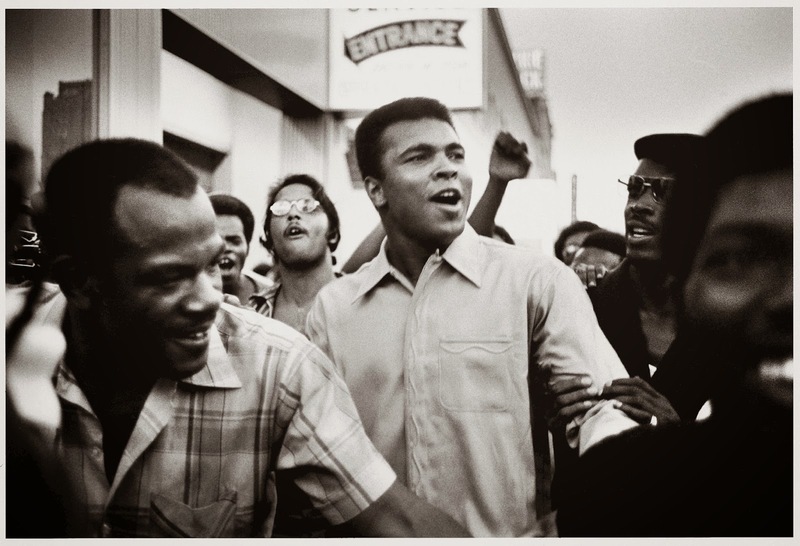 After Ali (still referred to as Cassius Clay by a press and a legal system that would not respect his name change) refused to fight in Vietnam, he was sentenced in 1967 to five years for draft evasion. His case slowly climbed the ladder to the Supreme Court in 1971 where it was given little chance to succeed. Indeed, the decision initially came down 5-3 (with Justice Thurgood Marshall recusing himself) against Ali, but while drafting the opinion Justice Harlan learned of a precedent that eventually led the Court to a unanimous finding in support of Ali's right to claim conscientious objector status. In a delicate piece of legal maneuvering the Court found a way to make the judgment applicable only to Ali, in order to avoid establishing precedent for a new wave of objectors. The captivating and bizarre twists and turns of the now famous ruling are presented in this new documentary, but only in passing. There's too much else to cover to look too closely. 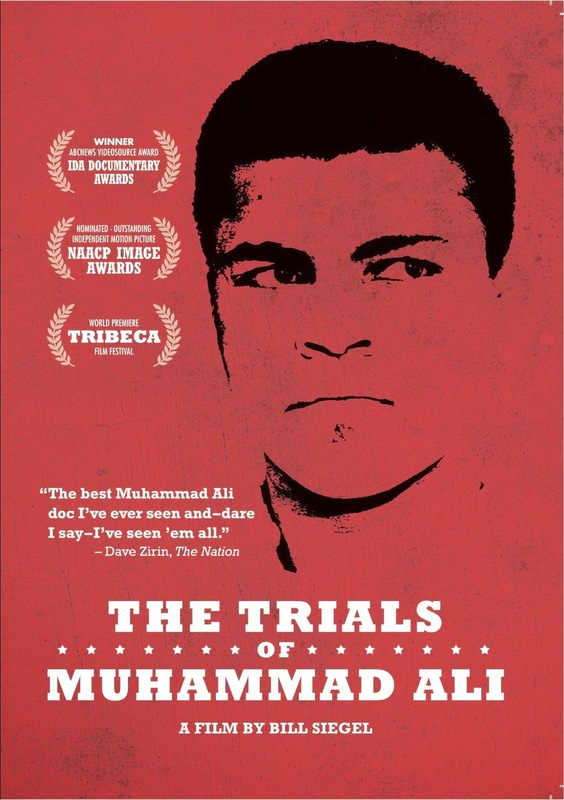 Instead of a narrow focus on just one aspect of Ali's story, director Bill Siegel (“The Weather Underground”) casts a wider net, opting for the plural title “The Trials of Muhammad Ali” (2013) instead. The documentary roughly covers the period from Ali's stunning upset of heavyweight champion Sonny Liston in 1964 to the aftermath of the Supreme Court case in 1971, a period during which young Cassius Clay from Louisville, KY became Muhammad Ali of the Nation of Islam. Never a shrinking violet, Ali spoke bluntly about his religious conversion and his refusal to fight for a country that had enslaved black Americans, pulling off the seemingly impossible trick of drawing more attention to his life outside the ring than inside it. At other times, the documentary seems to tackle too much material. The focus on the politics of the Nation of Islam, including Ali's fierce loyalty to Elijah Muhammad and the chaos after Malcolm X's split from the group is essential to understanding our protagonist's political awakening, but plays more like name-dropping than fresh insight. Perhaps it's useful to people just learning about these events for the first time, but in scenes like this, as well as much of the coverage of Ali's boxing career, the movie feels like a generic entry in the burgeoning field of Muhammad Ali documentaries. Still, it's hard to go wrong with footage of the charismatic and abrasive Ali and he is not always depicted as a saint: the young firebrand can be mean, arrogant, and unsympathetic to anyone he identifies as an enemy (including Malcolm X). In addition to the archival material, the documentary relies on several talking head interview subjects, including Ali's second wife Khalilah, his brother Rahaman, and lawyer Gordon B. Davidson (one of Ali's business backers before and during the legal troubles). Each has his or own agenda, but their insider perspectives provide much needed nuance. The documentary is presented in a 1.78:1 anamorphic transfer though the ratio varies with different archival footage. Likewise the quality of the video varies from the recently shot interviews to the older footage. Overall, this SD transfer is perfectly solid if unremarkable. The Dolby Digital Stereo mix is straightforward and fairly clean though, again, quality varies based on the source (archival vs. newer) used. No optional subtitles are provided though limited subs are used for interviews that are a bit more difficult to make out. The film is accompanied by two different commentary tracks. The first is by director Bill Siegel, composer Joshua Abrams, and editor Aaron Wickenden. The second is by executive producer (and artistic director at Kartemquin Films) Gordon Quinn and journalist Salim Muwakkil. I only had time to sample the first commentary and it sounds like it covers the usual bases. Kino Lorber and Kartemquin Films have also included a handful of short features. First is “The Mock Trials of Muhammad Ali” (8 min.) which provides brief coverage of mock trials of Ali's Supreme Court Case run by high school students in Kentucky in 2010. We also get four very short Extra Scenes (8 min total), including footage of Ali's 1964 photo opp with the Beatles and a short piece about Ali's brief suspension from the Nation of Islam. The disc also includes Educational Resources which can be accessed on your computer. These include audio and a transcript of the Supreme Court case. The more general approach is probably the smart commercial move, but a laser-like focus on just the Supreme Court case would have helped distinguish the documentary from its considerable competition. You'll be left wanting to know more about pretty much everything, but maybe that's the point in an age where documentaries serve as a starting point and arrive with additional “educational resources” designed to continue the discussion.